The purpose of the event is to allow athletes to work on pacing, nutrition, riding with others and also to gain open water mass start experience. The event is fully supported and designed to give athletes confidence that they are on track for their next race! This year's event will donate 50% of all proceeds to Charity. The purpose of the event is to allow athletes to work on pacing, nutrition, gain open water mass start experience and to run through transitions for their next (or first) Half Ironman event. The event is fully supported, so the athlete doesn't have to worry about a thing. WHO: Anyone looking to test out their Half Ironman pacing and nutrition, or just a fun day of training with other athletes from the area. You will show up and it will feel like an actual event. You'll sign a waiver, pay your registration fee and then set up in transition. You'll get the chance to warm-up before a short pre-event talk is given. We'll then start the event like any other triathlon. 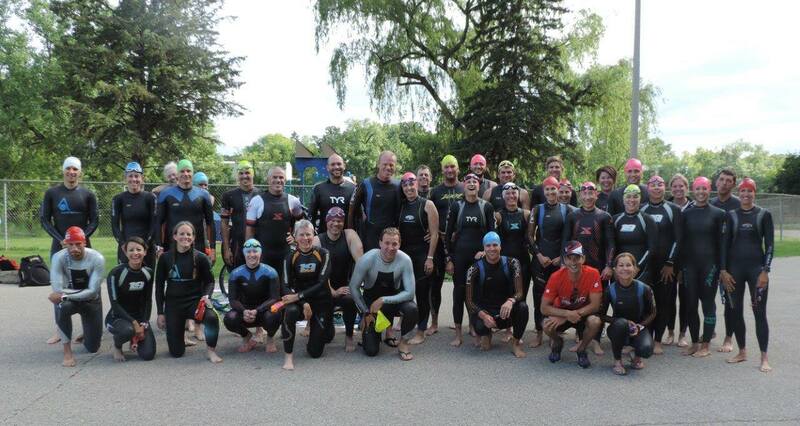 The swim will take place at the Verona Quarry where you'll start in water to complete either a 400m or 800m loop. There will be buoys marking the course and lifeguards will be on hand. You'll transition up to your bike rack where you'll then grab your bike and head out to ride. The bike course will be an out and back that is rolling to flat.! This is a change from last year due to the races that most athletes are training for. There will be 2 options for the ride of approximately 40km or 60km. There will be an aid station at the 20km mark of the courses which will have water. Make sure you bring any other nutrition that you need. The course will be well marked and will be OPEN to traffic. Please bring all your aero equipment, but leave your music at home. You'll rack your bike and head out to run. You'll have the option to run 6km or 12km off the bike. There will be an aid station at the 3km and 9km points of the run. The run will be a mix of terrain and will be well marketed. Again, please leave your music at home.